The origin of the Marimba is uncertain; some believe that it had originated in South East Asia by the 14th Century, and others that it came from Africa. Beat Route is a classic traditional jazz combo. The band has, over its 3 years, developed an extensive repertoire of originals, standards, grooves, Latin, Afro, popular and show tunes. Big Nuz is a highly successful kwaito group consisting three highly talented members Jojo aka Mampintsha, Mzi aka Danger and Sbu aka R Mashesha. The Caribbean Connection provides background music as well as featured entertainment, and performs a variety of music from calypso, to adult contemporary, to theme tunes from various eras. Four 5 Seconds is a young, vibrant and unique band in a league of their own that engages their audience into an energetic and lively performance. HABIT TO have just unleashed their second album Boomerang Saturn! Already the singles ‘Movin’ and ‘Space’ have been playlisted on various Radio Stations. 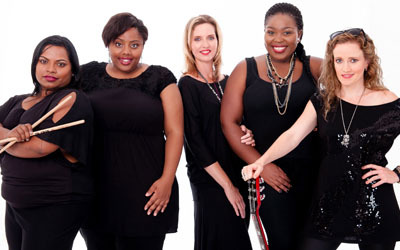 Heels over Head is a smoldering all-female soul-jazz band from Durban. 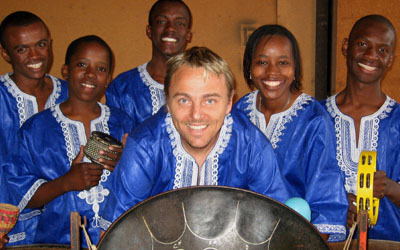 This SAMA nominated funky foursome were the winners of the 2010 Yamaha Young Talent Award. 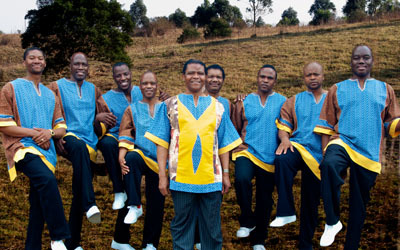 Ladysmith Black Mambazo represents the traditional culture of South Africa and is regarded as the country's cultural emissary at home and around the world. 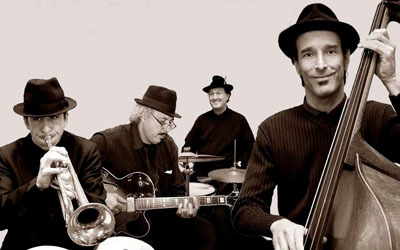 The band has over its existence featured at many corporate, cultural and sport events with even a favorably reviewed show at the local Rhumbelow Theatre. Steel drums, also known as steel pans, and sometimes, collectively with other musicians, as a steel band or orchestra, is a musical instrument originating from Trinidad and Tobago. Take2 is a tasteful musical solution for smaller events where space or budget might be an issue. 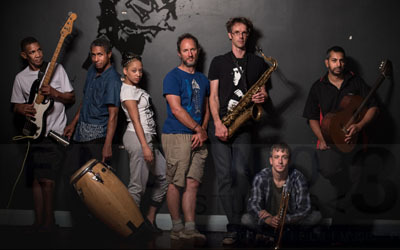 The Jazz Minkeys is Durbans own Post-Modern Jazz Orchestra, which is to say a big old Eclectic Jazz band line up that takes a cheeky look back through our collective musical heritage. Tres Hombres Los Conscious is a niche Mariachi concept and comprises 2 guitars and trumpet/percussion (sometimes with the addition of Bass.) and features at its core Daniel Sheldon on trumpet/Flugelhorn and percussion and Gerald Sloan and Avinash Maney on Guitar.